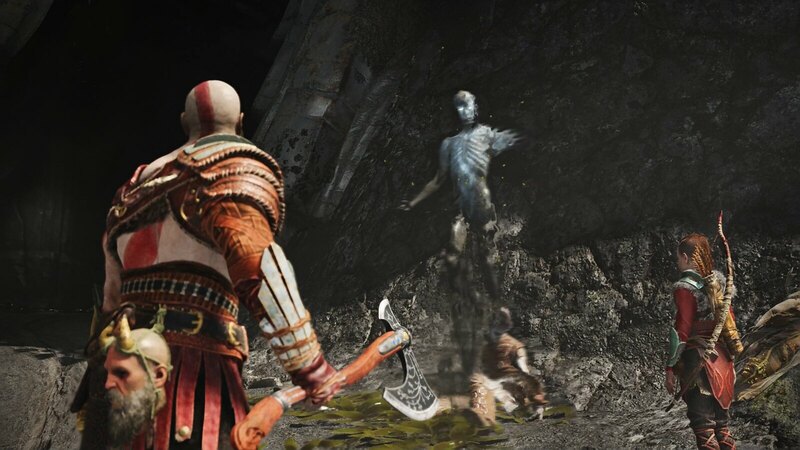 The harder question for us to answer was Kratos’ motivation. 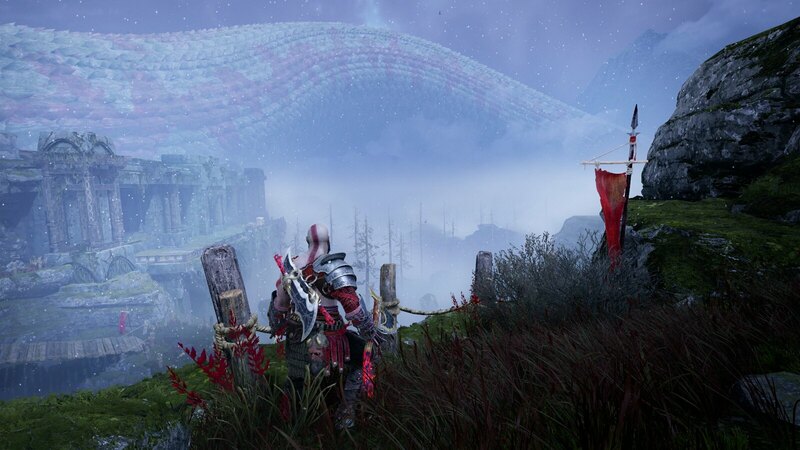 As a character, Kratos is not the type to go out of his way to help a stranger. 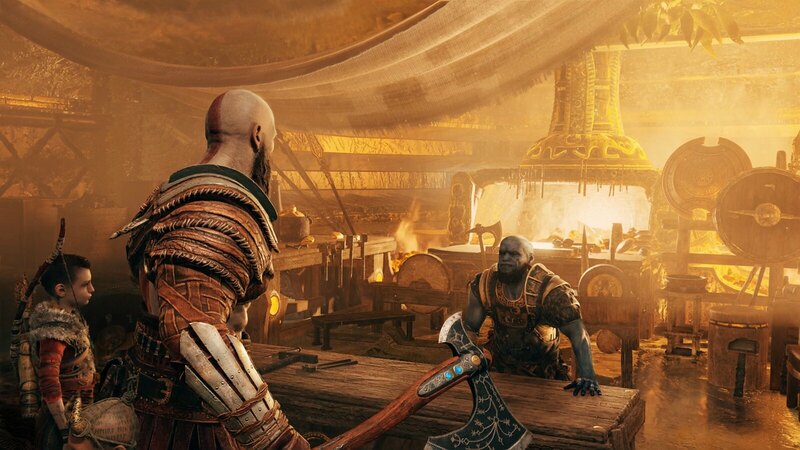 When doing a favor for Brok and Sindri, we always tried to hammer home the idea that Kratos was doing this to craft better gear to help with his journey. 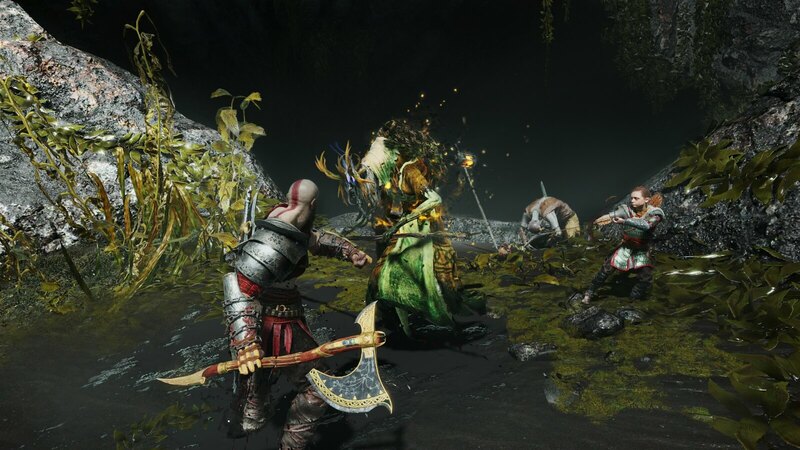 This was less clear with the wayward spirits, but Atreus’ naiveté and kind-hearted nature leant itself well to wanting to help the spirits. 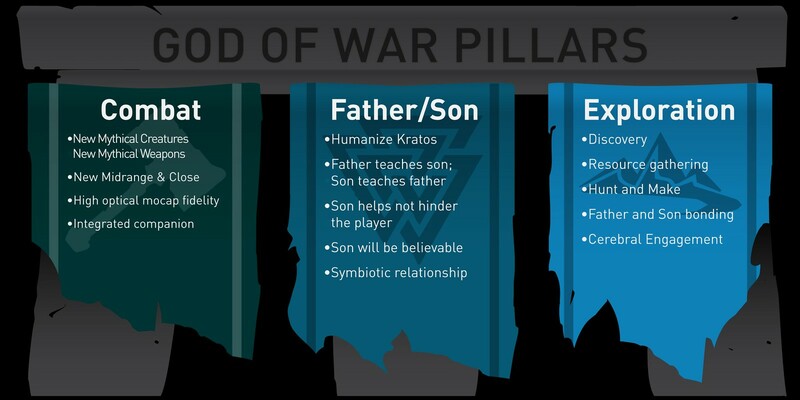 The wayward spirit quests were all written with the theme of Kratos teaching his son a lesson, which helped clarify Kratos’ motivation and support the Father/Son pillar. This idea of using quests as a teaching opportunity became core to all of our “B” quests. 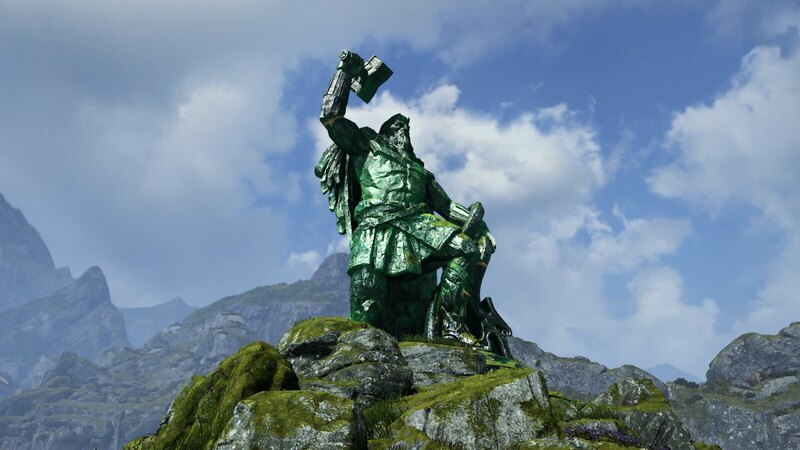 We knew this content would not receive the same support as the main game, but with the narrative being such a core part of the game and this theme tying all the quests together, we were able to build light-weight, optional content that felt worthwhile. you know what would be great? some downloadable content! more story missions, side quests, challenges and new gear! 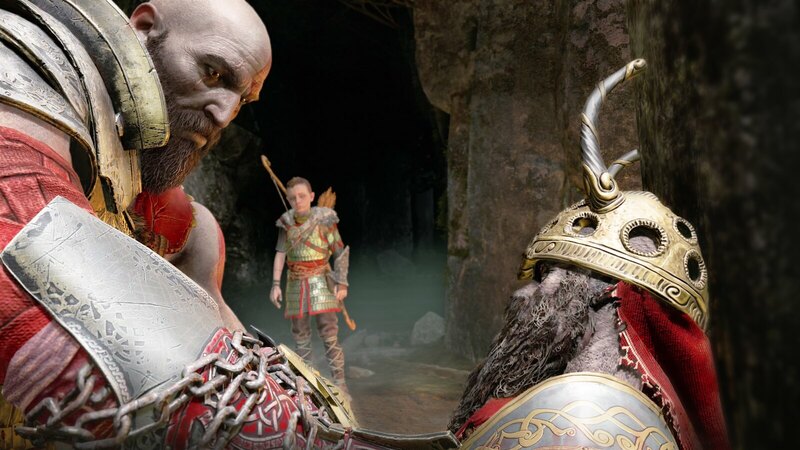 god of war -3 costumes with the same stats as the best armor right now! Nah, we don’t need DLC. The game is fine as is. Let them get working on the next GOW instead. Besides, Cory already said he didn’t wanna do DLC I believe. These posts that give an insight into the development and get down to such details as the flow charts for decision making are excellent. Thanks for putting this together and sharing Anthony! From a very happy gamer, I can say that the thoughtfulness and way in which these were structured clearly paid off. 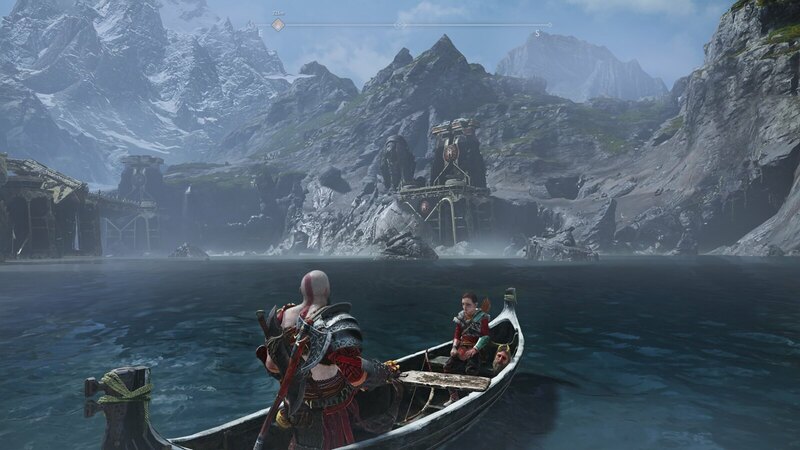 I also loved having Atreus say “Let’s Explore”, such a great cue to let me know as a player that it’s okay to wonder off the path for a bit and see what else is going on in the world. Came here to say basically this. I was able to do almost everything without ever feeling like the story lost its urgency, and after completing the game I came back through and swept up all the additional optional stuff. Just reading this article makes me want to play it again ! Good job team in making a it a fun and challenging game. Thank you for posing this. Such an amazing experience from start to finish – It’s my GOTY for 2018 and favorite video game franchise. The developers at Santa Monica Studios are masters at what they do. I’m really looking forward to what you guys do next. Everytime I go off the beaten path to explore theres always a let down. I dont see how they nailed it to be honest. It mostly keeps you going down a narrow path the whole time…! The areas are compact and have direction. Linearity is not a bad thing. It’s not meant to be a massive open world. That would only take away from this game. It’d be just a bunch of empty space to fill in and make the world look big like 90% of open world games. I hope in the next one, we get a horse or something. Got tired of the boat in the main hub. I really liked how the water shrunk though, revealing more each time. Was so cool, but I hope the team tries something different in that aspect for the next in the series. Leaving out filler side-quests means better pacing. 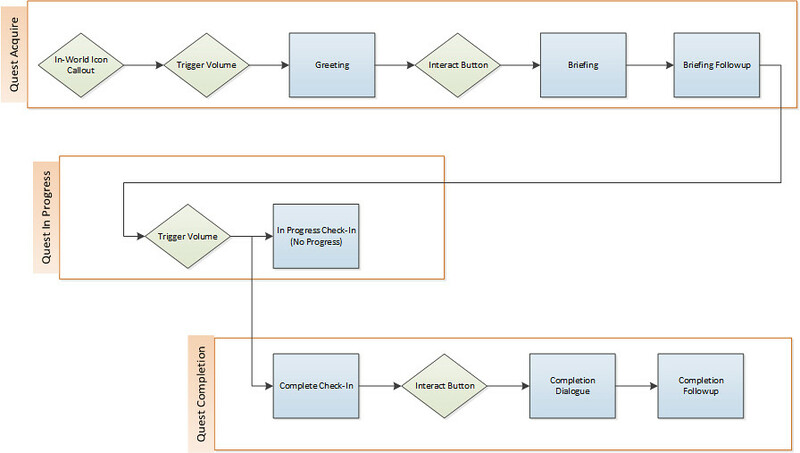 Exploration and freedom to skip scenes added independence for the player. Making rewards better made it worth it. Everything here came together to deliver a fantastic experience. Your level of polish is not seen in most games. I love all god of wars release except the last one, for me the development team ruin the combat system, copying Batman arkan city system, they fixed kratos to lower left corner and made him very slow. I hate when developers try to reinvent the wheel.